We are always accepting applications and resumes. However, these are the specific job openings that are available at this time. Please feel free to contact us by submitting your qualifications via email. Thank you for your interest. We will respond promptly. Glebar Company is an equal opportunity employer. Glebar produces machine tools for various markets. 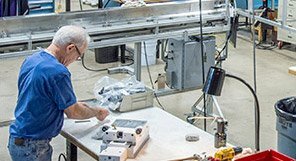 Our assemblers are skilled employees capable of assembling to tight tolerances and are very detailed orientated. Must have an eye for details and be able to utilize hand held tools and power tools. Ability to read, interpret and follow basic blueprints, diagrams, engineering drawings, specifications, bills of materials, and other written instructions or procedures to accurately assemble equipment and products. Produces machined parts by programming, setting up, and operating a computer numerical control ( CNC ) machine. Machinist experience required: 5 years. Mazak experience a must. OkMazak experience and Musuma experience helpful. Electro-mechanical assembly of Machinery. Daily duties will include assembling cables, sub-assemblies and final components. 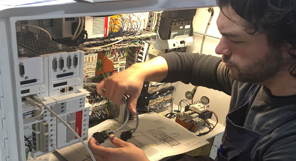 Qualified candidates should have at least 2 years experience in large electrical panel assembly, should be able to read schematics, understand wire run lists and have an outstanding attention to detail. 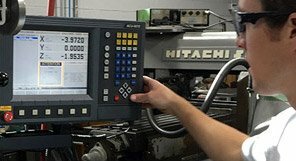 CNC Lathe Machinist and Programmer needed to produce machined parts by programming, setting up, and operating a CNC machine. 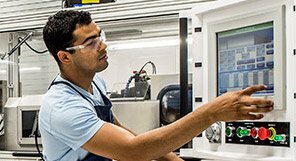 Serves customers by troubleshooting, testing, installing, training, and servicing high precision mechanical systems. Supports customer production processes. Repairs machine systems and products by scheduling appointments; demonstrating equipment; outlining alternatives; recommending solutions. Installs systems by ordering and delivering components; installing equipment; programming systems; completing acceptance tests. Tests and validates new equipment leaving production. Interacts with the customer to set up factory acceptance tests. 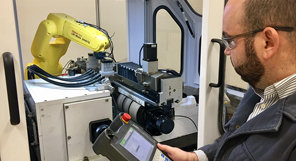 Process Development by applying machinery to customer's application. Maintains systems and products by responding to problems; conducting tests; diagnosing problems; completing repairs. Maintains records by documenting original system, upgrades, and repairs. Keeps installation equipment and test equipment and tools operating by following operating instructions; troubleshooting breakdowns; maintaining supplies; performing preventive maintenance; arranging for repairs. Updates job knowledge by completing re-certification; participating in educational opportunities; reading professional publications. Skills/Qualifications: Customer Service, Selling to Customer Needs, Technical competencies. Administration, Problem Solving, Presenting Technical Information, Dependability, Thoroughness, attention to detail, Familiarity with Windows Operating Systems, Mechanical Aptitude, Familiarity with basic Electrical systems, Motion control systems, automation. ERP knowledge.